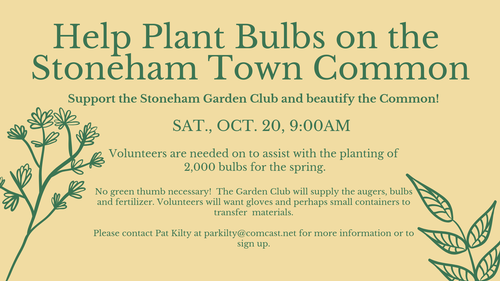 The Stoneham Garden Club is planting 2,000(!) bulbs for Spring and needs your help. No gardening experience is necessary and kids are welcome when accompanied by an adult. This is a volunteering event that is free and open to the public.